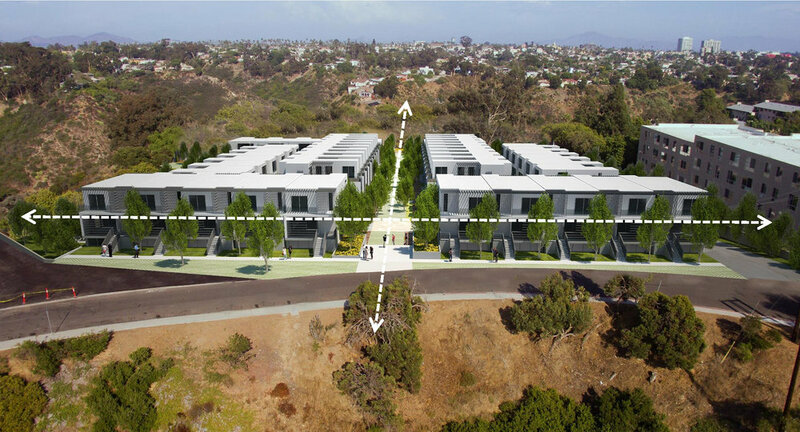 The site is a bluff with 270-degree views overlooking Mission Valley, on the north edge of the Hillcrest neighborhood. The townhouses are organized around a central garden, offering a communal space and public views across the site and capture breezes wafting over the bluff. All units have direct or indirect views off the site, and two thirds have ideal solar orientation. The street edge includes stoops and porches to create an urban character.